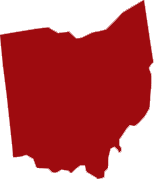 Ohio Court Reporters | National Court Reporters, Inc.
For experienced court reporting in Ohio, National Court Reporters is ready, willing and able to lend support to you and your legal team. We’re not just effective in the courtroom, either—we offer a complete breadth of litigation support services, including video conferencing, translation and interpretation services, process serving and general trial support. Everything is tailored around the demands of your case and delivered with uncompromising accuracy and quality. Our secret? We only staff certified court reporters in Ohio and rely on state-of-the-art technology like LiveNote™ and e-Transcripts™ for the perfect marriage of quickness and accuracy in reporting. With our team on your side, you’ll always show up to court with the confidence you need to win your case.